Home / Super Screener Results / 2013 Super Screener Crushes the Belmont! 2013 Super Screener Crushes the Belmont! The 2013 Belmont Super Screener crushed the race with a pick of 12-1 longshot Palace Malice to win! The Super Screener also identified the 1-2-3 finishers in its top five selections, and nailed 8 winning Trifectas!!!! Many of the Super Screener followers have already sent in emails letting us know about their wins! Send your emails to [email protected] and be sure to share your winners below!!! 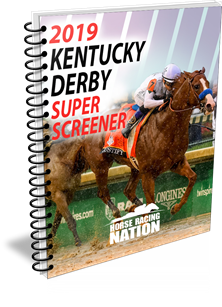 ← Previous Story How did the Derby Screener Do? Next Story → How Did The Super Screener Do On Breeders’ Cup 2013? I was the only ticket there that cashed in across the board bet on Palice Malice and a sweet trifecta ticket. Great job. 20 on Palace to win, 20 exacta on Palace and Oxbow and 2 tri box, great time. Let’s go to Saratoga, the Jim Dandy and Travers. Thanks for the excellent handicapping for the Belmont!! I hit win/place exacta and tri!!! you should of had the super also, just missed. Caught the tri on the Medium suggestions 3 times for $1395! My net return was $947. Great handicapping guys! Are you doing the Breeder’s Cup? What other races do you offer? You helped me knock it out if the park on a small budget. I did some of my own studying,but YOU pointex me in the right direction…..The Belmont winner has a new name…Palace ‘I love you’ Malice.. That was ny cheer during the stretch run. Orb and Oxbow did not fail me either…..THANK YOU…. .You are my handicapper of choice…it all started with Anjmal Kingdom in 2011. WPS,exacta, and trifecta. Mike, Once again I used your info to crush the Belmont. I had the winner, exacta, trifecta (hit the $1 tri three times), and I keyed Palice Malice for a nice Superfecta Hit (12/5-6-7-13). I always have a few superfecta tickets with your favorites and I toss in at least one upset pick on several). Also hit the Brooklyn Double with an “all”/12 ticket. Total winnings using your data: $11,931.75 and a net profit of over $11,000. Pretty good day… John B. Magnificent job with the Belmont!. Exacta and Trifecta payoffs in my pocket!. Beyond stoked!. Can’t wait for the Breeder’s Cup!. Super Screener was an absolute bomb in the Belmont! I wheeled Palace Malice with the marginal win contenders with all/all for the giant superfecta ticket! Thank you guys once again. I have been with you now for several years and it would be a mistake to leave home without it on the big race days. I am now armed and ready to crush the Breeders Cup. Bring it on! AMAZING! I would of never picked PM, but I had him across the board and the trifecta on my first time with Super Screener!! We were the only one is our section screaming at Belmont Park! Will def use again!!! See you at Breeders Cup Santa Anita! Thanks for you great handicapping of the Belmont. I was little wary after the Derby and Preakness but decided to trust your science and it paid off in a winning exacta and trifecta ticket. already looking forward to 2014 Triple Crown!! U guys r awesome! I would’ve not taken Palace Malice because he had such a high first call rating but you were smart enough to disregard his derby race. So I made him my key horse. I had win wagers on him and hit the pick 3! However, I did not copy any of your bets. I should have. I also like the fact when you don’t win you own up to it. Thanks so much! Keep it up! Nice wins on the Belmont casher over $2200.00 in tickets for a net win of about $1,600.00 Looking forward to next picks. Great job handicapping the Belmont. Your service is a “must have” on the big days…I use it, coupled with my own handicapping, and couldn’t be better pleased. Thanks again and looking forward to the Breeder’s Cup. Superscreener helped finalize my tickets. Hit $10 exacta, .10 cent super and 50 cent pick 4. Had very good Belmont race.